Please enter the personalization for the item or items. Also include any notes that may be helpful to complete your order. 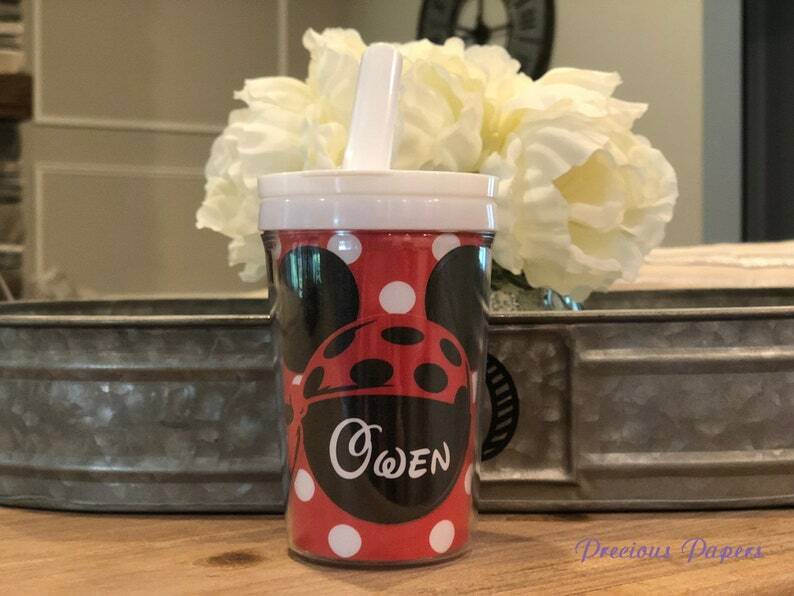 Mickey Mouse cups are here! Never confuse your childs sippy cup for another again with these personalized cups. Great for home, school or traveling. Laminated insert can be easily changed. If you would like more than one insert with your cup please convo me. Please indicate the name or intial as well as the font style you would like to order. We will email a proof to you before we print. The font choices are in the other photos above. ** Please put the personalization information in the "notes" area on the check out page. All items are shipped US Mail. Thank you for shopping my store. I truly appreciate your business.